Once a problem that is suspected as a pest is detected, the pest must be identified in order to plan the pest management strategy. In some cases, a precise identification may require consulting with an expert or even sending samples of the pest to a specialized laboratory. This is especially true when you need to identify a specific specie of the pest, or if the pest is rare in your region. However, in most cases you can identify the pest by following the below guidelines. 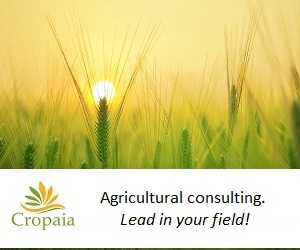 This will help you be prepared with the relevant cultural practices, tools, pesticides etc. 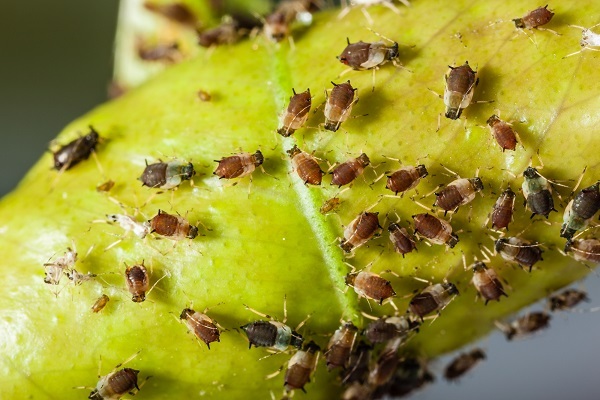 If you are well familiar with the pests that might attack your crop, make a list of those pests. If you are not sure, a short search on the internet will reveal the required information. For example, if you grow cucumbers, you might want to search for “cucumber pests”. Keep in mind, though, that some information on the web might not be reliable. Make sure that you obtain information from reliable sources. 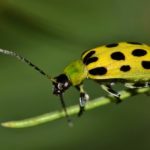 Are those pests common in your country and region? This is another question you may want to answer. Try to find out this information asking other growers in your area, your extension services, or by searching the web. Which development stages of the pest may occur? How does each development stage look like (eggs, nymphs, adults, larva etc.)? At what time of the year does the pest show up? Which development stages occur? What is the duration of each development stage of the pest? Note that this may vary greatly, depending on the weather conditions in your region. On which location on the plants does each development stage occur? 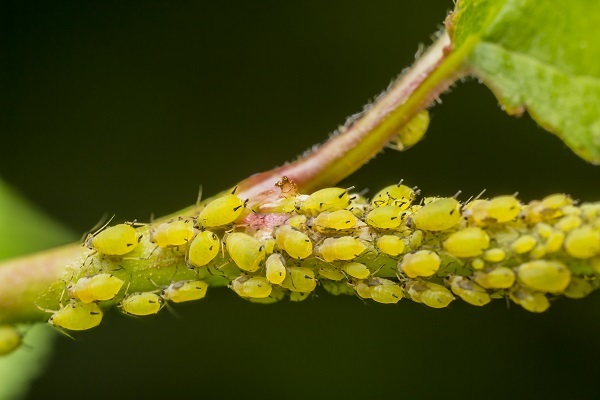 Different development stages of the same pest may appear on different parts of the plant.For example: Whiteflies lay their eggs on the bottom side of the lower leaves, where adults usually gather at the top of the plant. Which development stages of the pest cause damage? 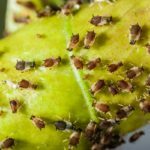 How does the pest feed and what is the appearance of the damage? Pests can cause both direct and indirect damages. Direct damage to the plant’s tissue includes holes in the leaves, speckles, distorted leaves and flowers, holes in the fruit, weakened plants, wilted plants etc. 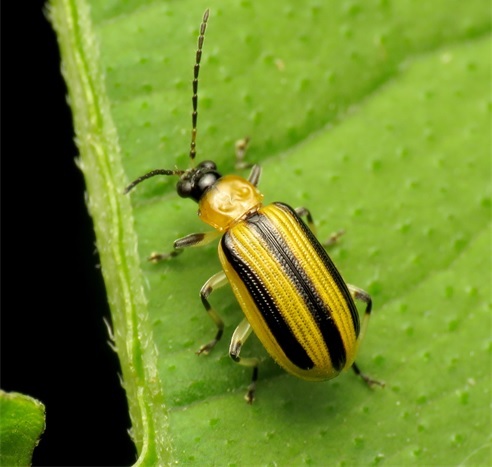 In indirect damage the pest transmits a pathogens, such as virus, bacteria or fungus, to the plant by carrying the pathogens on their mouthparts and transmitting them from one plant to another. For example, aphids, thrips and whiteflies are vectors for many plant viruses. Caterpillars leave their feces on plant leaves. Often, you may detect the feces of the caterpillar, not the caterpillar itself. The presence of the feces can provide an indication to the presence of the caterpillar. Feces of thrips appear as tiny black dots on the white-silver patches caused by the pest. In high infestation level, spidermites may produce a silky web on the plant. 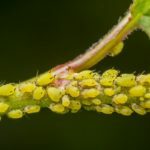 Aphids, mealybugs, whiteflies and other sucking insects from the order Hemiptera, secrete honeydew, which is a liquid containing mainly carbohydrates. The Black Sooty Mold fungi may grow on the honeydew. Plant leaves will become covered with black soot as a result. 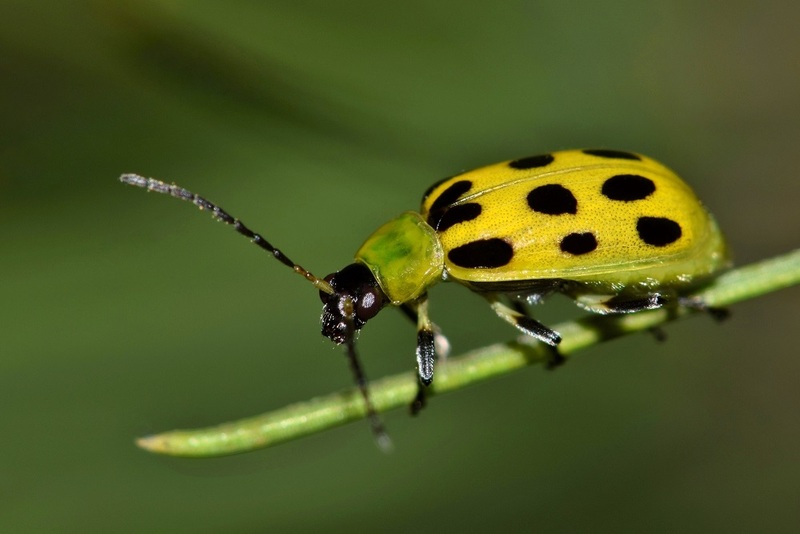 Features such as the colors of the pest, the shape of its wings, shape and color of the eggs, specific features (spots, dots, lines) on the body of the pest etc. 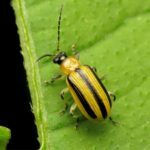 – these can all help you identify the pest correctly and even distinguish between different species. 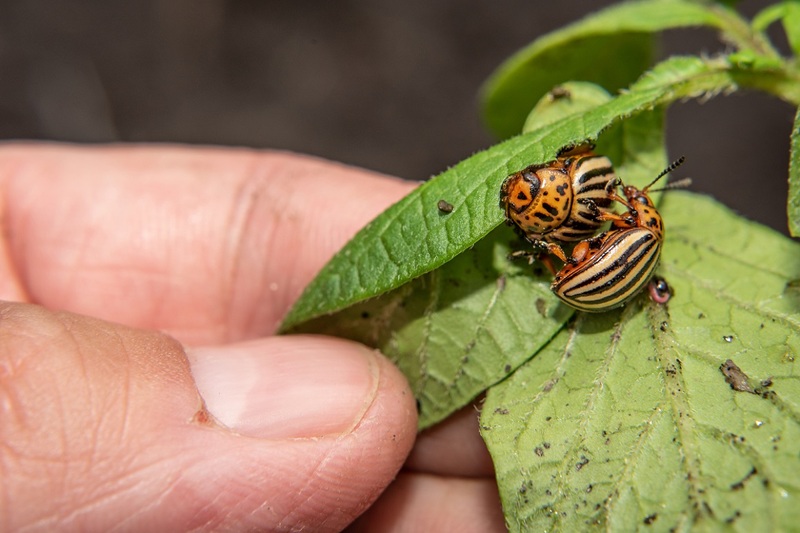 This is very important, as different species of the same type or family of pest may have different behaviors, cause different damages and may require different treatment.